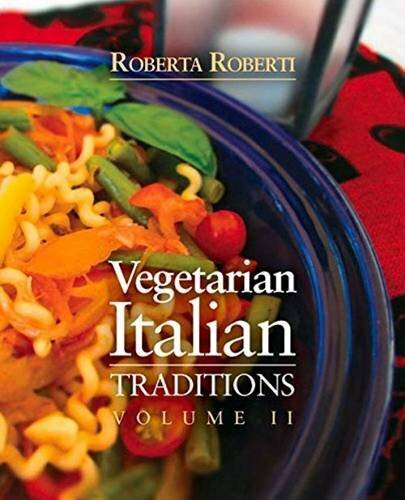 It’s sizzling, almost off the press, World Party: Vegetarian Appetizers, Hors d’oeuvres and Party Plates by Roberta Roberti, author of Vegetarian Italian Traditions. If there was any every a doubt of the interest and growth of being a vegetarian, my visit this week to Natural Products Expo East has shown how deep our nation’s interest is. Roberta Roberti graduated from the Natural Gourmet Institute for Health & Culinary Arts in New York City, was a James Beard Scholarship recipient, and had a blast doing her internship at the James Beard House. She’s been a personal chef and magazine editor, and her co-workers never fail to devour every crumb she brings in. Her first cookbook, Vegetarian Italian: Traditions, is currently available from all online retailers, but will soon be reissued as a different volume. World Party: Vegetarian Appetizers, Hors d’oeuvres and Party Plates is her second cookbook. Her food articles can be found in numerous publications, and she is also a fiction writer and freelance editor. 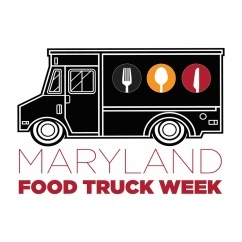 “Women go into the food business to pursue a variety of interests. For me, it’s always been recipe development and writing. That’s what I love to do. And I turned that interest into articles and cookbooks. My first one is Vegetarian Italian: Traditions. My latest one is called World Party: Vegetarian Appetizers, Hors d’oeuvres and Party Plates. You’re assuming at this point that I’m vegetarian. That would be a good guess, but wrong. I was a vegetarian for many years, which is when I began working on Vegetarian Italian. For health reasons, I began eating meat again, but I still prefer meatless meals often and decided that my second cookbook would be vegetarian as well. More and more people around the world are becoming vegetarian, even in places where the concept was foreign a decade ago. And vegetarians, too, love to entertain and prepare multicultural food. And that’s how I came up with my idea—I wanted to bring those interests together and offer a book that would allow people who prefer meatless food when entertaining and simultaneously “travel in their minds,” as Nora Pouillon puts it. It took years of research—both the academic kind (I read everything I could get my hands on about cuisines around the world) and the fun kind (I tried different restaurants, traveled a little, and totally took advantage of my multicultural friends’ hospitality). Many experiments and false starts later, I had a collection of recipes that I felt represented a good portion of the global culinary community. Many of the recipes were meatless to begin with. The ones that weren’t, I tweaked and substituted ingredients until I felt that they worked as well as their meat-based counterparts. Of course, since these recipes come from all around the world, there was the issue of product availability. While almost anything can be purchased online now, cost and freshness are still concerns. So, I also had fun experimenting with substitutes for the American market. For example, in the Singaporean recipe Chicken Rice, the mushroom typically used is monkey head mushrooms. But these are not easily found in the U.S. (some specialty markets do carry them). So I created the recipe using what’s been described as being close to monkey head mushrooms in taste and texture: prince (or king) mushrooms, which are commonly available in Asian markets in the U.S.
How had I even learned about monkey head mushrooms? I was having drinks with a fellow cookbook author at Sardi’s, the famous restaurant in New York City with the caricatures of famous people on the wall. I’d never been there and was a little bit in awe of being in this legendary place. My companion, on the other hand, practically lived there and was very comfortable chatting with the bartender and other patrons. We struck up a conversation with a cute young couple having drinks at the bar. They were on their honeymoon, and as we talked with them, we learned that they were originally from New Zealand and living in Singapore. Conversation turned to food and they mentioned monkey head mushrooms, popular in Singapore. I went home with monkey heads on my mind and was determined to learn about them. (They also go by the names lion’s mane mushroom, bearded tooth mushroom, satyr’s beard, bearded hedgehog mushroom, pom pom mushroom, and bearded tooth fungus. In Chinese cuisine, they’re used for medicinal purposes for such things as “brain health”—so, good for warding off Alzheimer’s— immunity, and nerve health, and as an anti-inflammatory.) To this day, I’ve yet to try them, as they are extremely difficult to find fresh (although you can find them dried, and my understanding is they’re starting to become more available). Of course, this book is not just for vegetarians, but anyone who wants to incorporate meatless dishes into their repertoire. 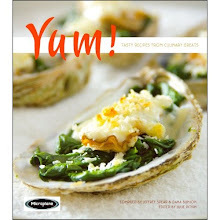 Every party has vegetarian or vegan guests, and this book provides a resource for any host/hostess for meatless options. The recipe I offer you here is a dish popular in Cuba: Ensalada de Aguacate, Papaya y Piña, which translates to Avocado, Papaya and Pineapple Salad. The combination of tropical produce is typical of the island nation. The Taíno Indians of the Caribbean called papaya the “fruit of the gods,” and combined with avocado and pineapple, this dish is a tropical appetizer truly fit for the gods. Don’t use extra virgin olive oil in this recipe—the flavor is too strong and will overpower the other ingredients. Place the pineapple, papaya, and avocado in a large bowl. Whisk together the oil, vinegar, salt and pepper in a small bowl; pour it over the salad and gently toss. World Party: Vegetarian Appetizers, Hors d’oeuvres and Party Plates will be available at all online retailers this fall.